University of Memphis Cecil C. Humphreys School of Law, 1987 J.D. Mr. Dennen represents doctors and other healthcare providers on Stark and Anti-Kickback compliance, licensing, HIPAA, reimbursement matters and other regulatory issues affecting the healthcare industry. 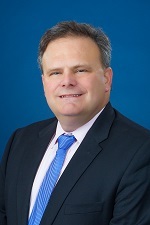 Keith assists clients in government investigations and in disputes with insurance companies. In addition, Mr. Dennen represents clients in all areas that affect their business, including employment, business entity structure and governance, succession planning, transactions, real estate leasing and acquisitions and intellectual property. Mr. Dennen advises clients on estate planning and assists in the probate of estates. Mr. Dennen also represents many business clients in litigation including litigation involving non-competition agreements, retaliatory discharge and whistleblower claims, breach of contract, violation of shareholders agreements, copyright and patent infringement and violation of property rights. Since 1994, he has been the general counsel to The Industrial Development Board of the City of Hendersonville, Tennessee. Since 2005, he has been general counsel to the Tennessee Risk Management Trust. Mr. Dennen also represents other governmental entities, non-profit corporations and associations.